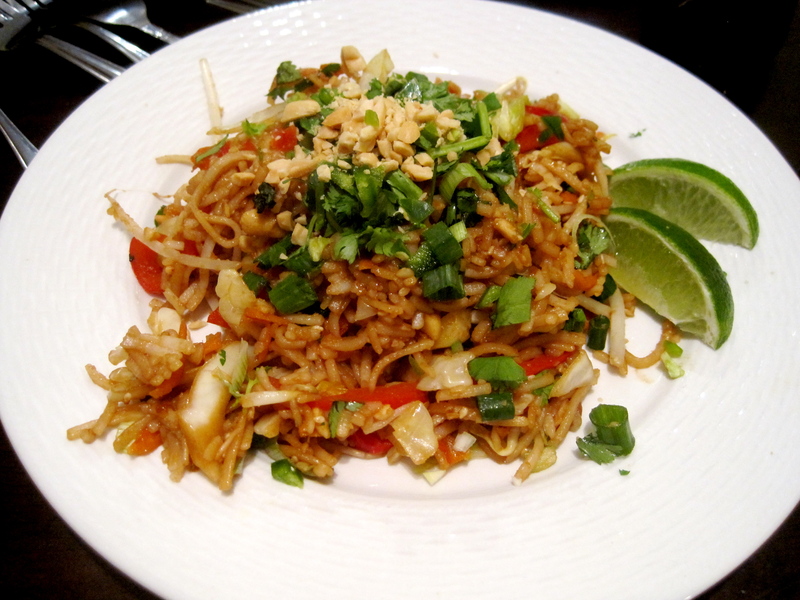 All the delicious flavor of pad thai with less work! 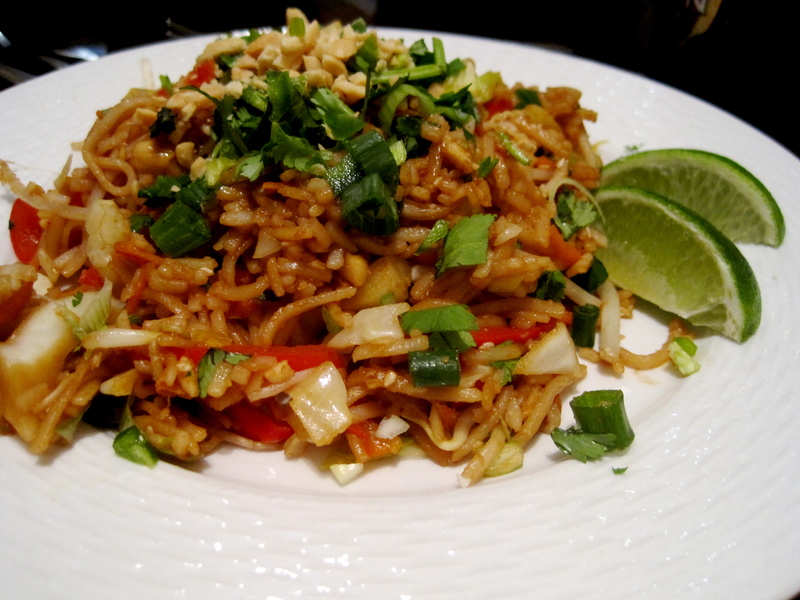 This recipe is more of a noodle salad than an authentic pad thai dish. because it’s made to be able to keep for a while and still be delicious at any temperature. This is due to a lack of egg and meat (which are far less appetizing when cold the next day) and not too much sauce. However, I didn’t exactly take advantage of this–when we made this, it was gone almost immediately. 1. Boil water in a large pot and cook noodles according to the package directions–it’s usually only a few minutes until they’re ready. Drain and rinse the noodles with cold water, then toss them with the 2 tsp sesame oil to keep them from sticking together. 2. Heat the remaining oil in a large frying pan or wok over medium-high heat. Add the cabbage, red pepper, and carrots and cook for 3-4 minutes–you still want them pretty crunchy. 3. 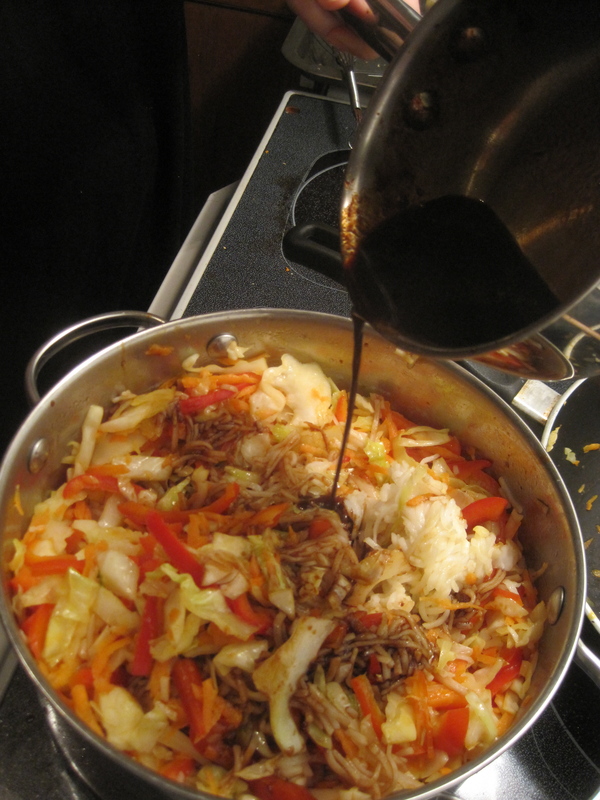 While the vegetables cook, heat the soy sauce, lime juice, tamarind paste, and sugar in a small pot over low heat, whisking frequently until the sugar and tamarind paste have dissolved. Add water by the tablespoon until there’s more of a thin sauce-like consistency–you don’t want this to be too thick or gloppy. 4. 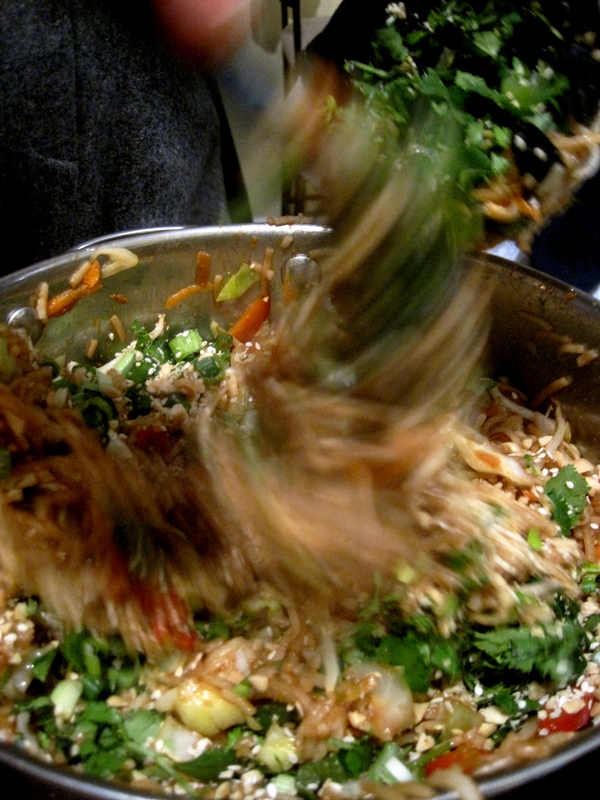 When the vegetables have cooked, remove them from heat and toss with the noodles along with the dressing and half the cilantro, peanuts, chili, and green onion until everything is well mixed. Serve the noodles with the other half of the garnishes on top and lime wedges on the side.